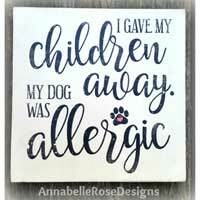 These unique Word Art signs are original designs of Renee Rapanotti, owner of AnnabelleRoseDesigns™. 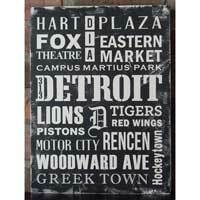 Renee is a native Michigander currently living and creating Word Art at her home in Lake Orion. Renee LOVES typography and design. Creating beautiful images and meaningful memories for others to enjoy is her passion. It all started with a wedding celebration piece she created for her nephew and his new bride. They seemed overwhelmed and very surprised at what she had made for them! Their excitement and gratitude was Renee’s jump start and got her wheels spinning. More creations were born and people actually wanted to buy them!! 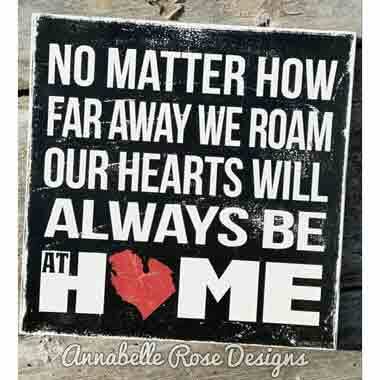 The name Renee gave her business ~AnnabelleRoseDesignsTM ~ honors her grandmothers with a combination of their names. Ideas for new designs never stop coming and so Renee puts her energy into perfecting those abstract ideas and making them reality. The technique she developed for her Word Art creations is very unique and something you won’t find elsewhere. 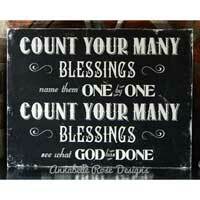 Although designs can be duplicated, each is produced individually one at a time and no two are exactly alike. The “distressing” that occurs during the process is uncontrollable, which adds to the charm, authenticity and style of each Word Art sign. 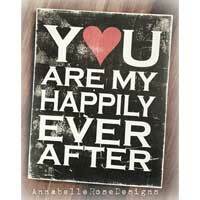 Handcrafted on a wood panel with 3/4″ profile, each Word Art Sign comes ready to hang or set on a shelf. 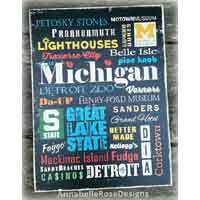 Inspired by subway sign typography, these one-of-a-kind word art creations celebrates the beautiful state of MICHIGAN ~ the Great Lakes State ~ with names of well known Michigan cities places, attractions & products we have all come to know and love! 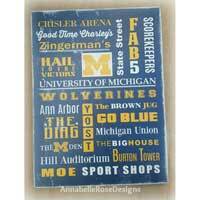 Also available are Word Art signs with religious themes, famous quotes, colleges, love theme and humor in a variety of sizes and color.